How does the name Dodge 'Cuda sound? This is one rumor that could turn into reality. 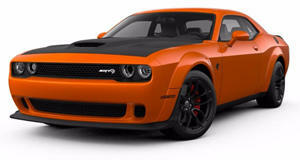 AutoGuide has learned that Fiat Chrysler has filed a patent application for the name ‘Cuda. The paperwork was submitted to the United States Patent and Trademark Office only last week, requesting the name be certified for future use on "motor vehicles, namely passenger automobiles, their structural parts, trims and badges." But why not ‘Barracuda?' Well, Barracuda was trademarked for the same purposes back in 2015, so it looks like FCA is covering all bases here. The Barracuda filing, however, is only valid through April 2019. While FCA has been mum on any potential successor(s) to the Dodge Challenger and Charger, it would make complete sense for its next generation muscle cars to be built on the same and all-new rear-wheel-drive Giorgio platform developed by Alfa Romeo for the Giulia and Stelvio. Yes, this platform is smaller than the current (and more than a decade-and-half old) LX platform which underpins the Dodge duo, but it’s also lighter and more than capable of handling lots of power. We spoke to Dodge and SRT design chief Mark Trostle at Detroit a couple years ago and brought up the subject of the Challenger/Charger successor. Not surprisingly, he couldn’t reveal anything in particular, only that both cars’ future are in the right hands. We'll see. 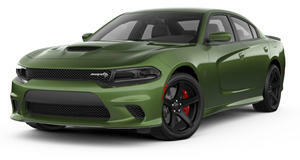 Considering there's so much publicity surrounding the new Challenger Demon and the fact that the popularity of the Charger and Challenger Hellcats is still going strong, don’t expect them (a Dodge ‘Cuda??) to arrive before 2020.